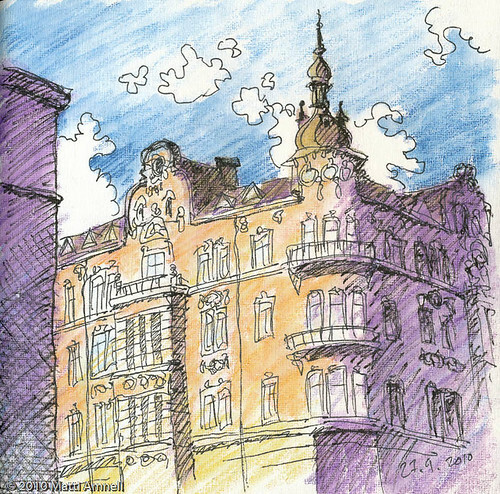 This entry was posted in Sketch of the day, Sketchbook and tagged architecture, city, finland, helsinki, ink, pencil. Bookmark the permalink. I have photographed this building for one of my posts on Helsinki. I love it.